Back in 1975, the group introduced the Pollution Prevention Pays (3P) program, which aims to prevent pollution at source in products and manufacturing process, rather that remove pollution already created. 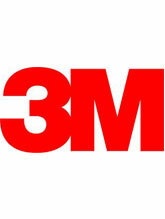 Established by Dr. Joseph Ling, it was a revolutionary concept at the time and it is still being used by 3M today as a corporate initiative to reduce or prevent any source of pollution or unnecessary energy consumption and to recycle. Over the years, the program has expanded, producing impressive, concrete results. The company has saved over US$1.2 billion since the program’s inception.